The Razer Kraken Pro V2 are an above-average and sturdy gaming headset with a great microphone. 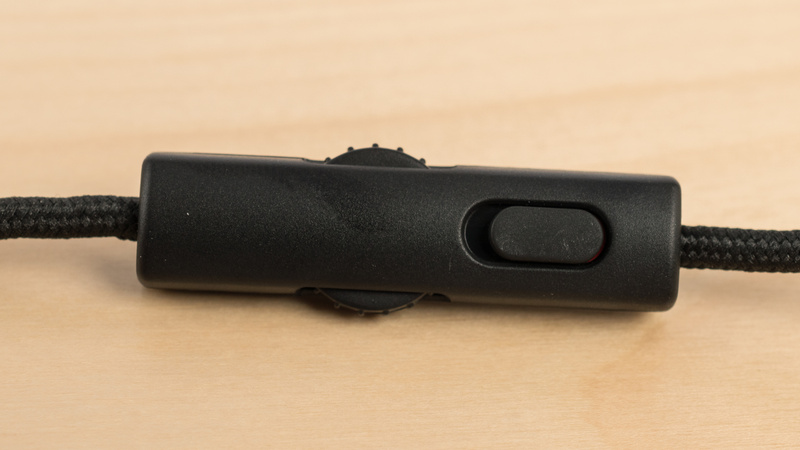 The mic accurately reproduces your voice and filters out a lot of background noise. They also have a decent sound that unfortunately, you can't customize them with the Razer Synapse software, unlike the Kraken USB. This makes them a little less practical but their low latency wired connection means they're still a decent option for gaming and home theater. 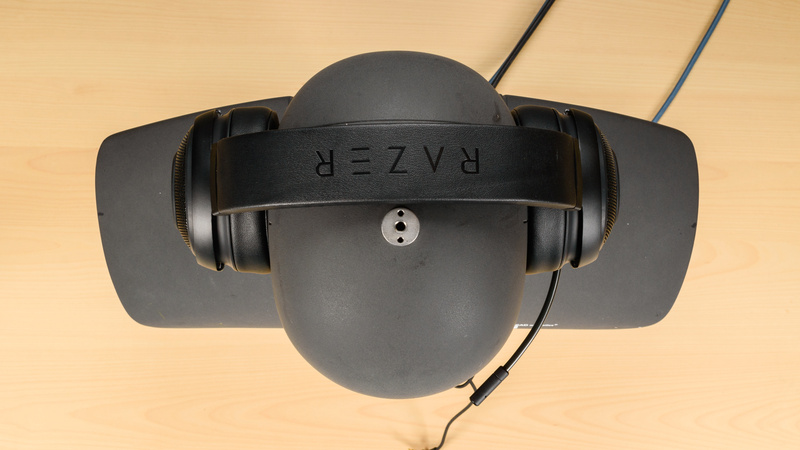 The Razer Kraken V2 have a durable design that's a bit too bulky and cumbersome. 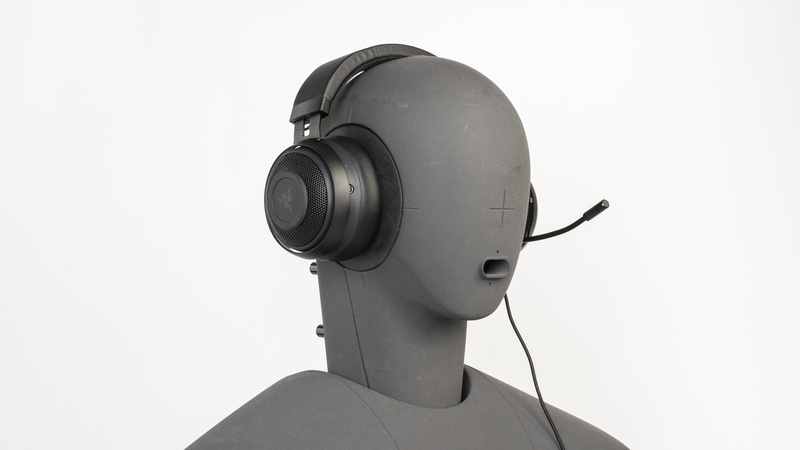 They won't pass for regular casual headphones due to their gaming aesthetic and non-detachable mic. However, the mic is retractable, which makes them a bit more appealing for outdoor use. They also have a lot of padding on the ear cups and headband, which offers a decently comfortable fit. Unfortunately, the somewhat cumbersome design is not easy to carry around without a bag, they're not stable enough for sports, and they tend to get a bit warm after a couple hours of use. The Razer Kraken Pro V2 are a decent looking gaming headset with a slightly bulky design that won't be for everyone. 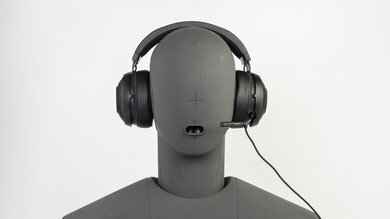 They have large circular ear cups with a lot of padding and a wide headband that's reinforced with a sturdy metal frame. This makes them look and feel very durable. They also have a retractable mic but they're not versatile enough to pass for regular casual headphones. The Razer Kraken V2 are decently comfortable headphones with thick pads that better distribute pressure. However, they're a bit tight out of the box and the lack of a proper swivel hinge means they don't always fit well around your ears which can be a bit fatiguing over time. They won't be the best headphones to wear for long gaming sessions. The Razer Pro V2 headphones have a typical gaming control scheme. They have a two-sided volume dial and a mic on/off switch. They have no additional buttons and they're fairly easy-to-use. However, the volume dial doesn't have distinct notches which would have been helpful when setting a preferred volume level. The control scheme also doesn't cater to mobile devices which makes them less versatile for casual use than some of the other gaming headsets we've reviewed. If you don't mind a wired gaming headset but prefer better controls then consider the budget Turtle Beach Recon 200 as an alternative to the Kraken Pro V2. The Razer Kraken Pro V2 will warm up your ears rather quickly if you use them while exercising. 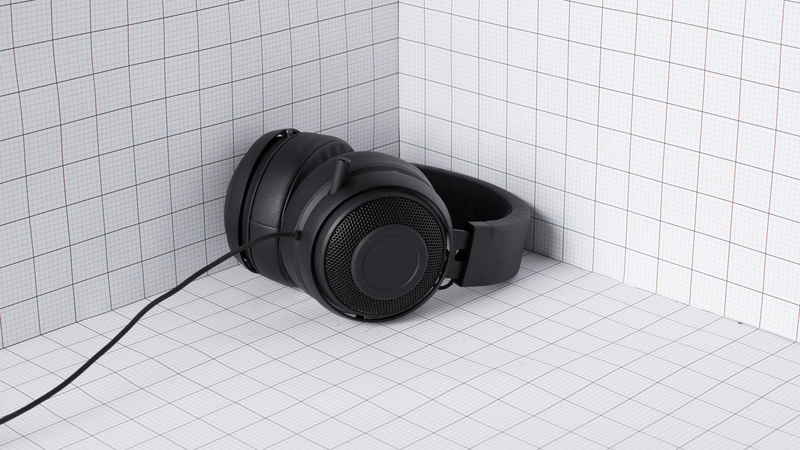 The closed-back earcups and thick leather-like pads prevent a lot airflow which causes a noticeable temperature difference during extended listening or gaming sessions. Like most gaming headphones, they are not very portable. 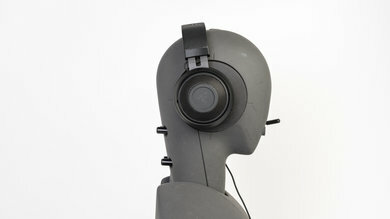 They do not fold into a more compact format and the ear cups are quite large and do not lay flat. This makes them a hassle to carry around on your person, especially if you don't have a bag. Unfortunately, they also do not come with a case or pouch, which is a little disappointing. The build quality is a lot more durable than that of the Kraken Man O' War and the Kraken USB. The headband is reinforced with a wide and sturdy metal frame. The ear cups are dense enough that they won't break from accidental drops or impacts, and the padding material of the ear cups looks and feels high-end. 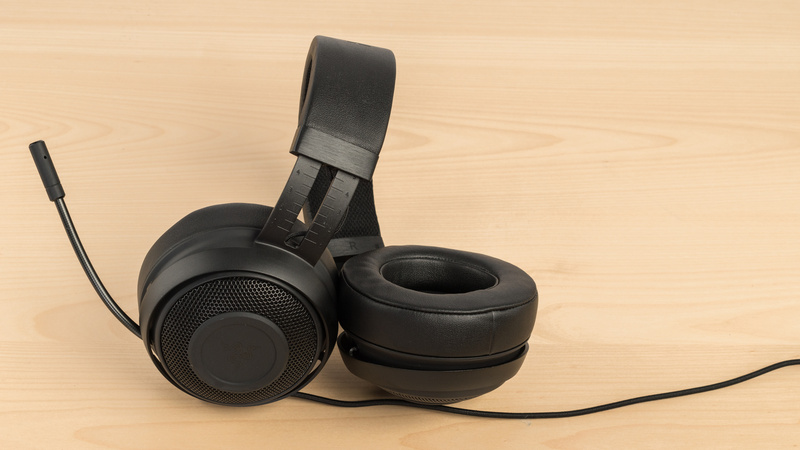 Unfortunately, the main audio cable is not replaceable and the slightly exposed cables that link the ear cups could get damaged from wear and tear or by getting tangled or hooked on something. These are barely stable headphones. They're a bit tight on the head so they don't move much during casual listening or gaming sessions. However, the large ear cups and bulky design sways a lot during physical activities, which means the Razer Pro V2 won't be the best option for sports. They come with a headset mic and audio adapter. The Razer Kraken Pro V2 is an average sounding closed-back over-ear gaming headset. They have an extended, deep, and punchy bass, but it is overpowering and boomy, and also prone to inconsistencies across different users. They have a decent mid-range but it's a bit muddy and cluttered, which makes vocals sound a little thick. 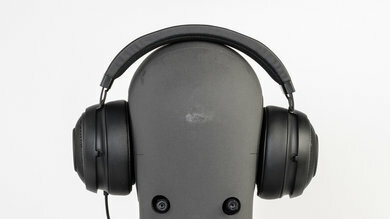 Also, their treble lacks some presence and detail, making the overall tone of these headphones dark and bass-heavy. 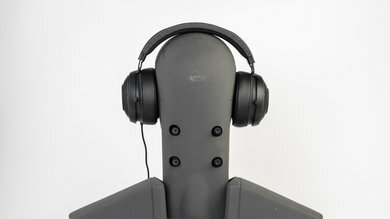 Additionally, and like most other headphones, their soundstage is not very large and speaker-like. The bass range performance is decent. Low-frequency extension (LFE) is at 28Hz, which is great, but low-bass is lacking by about 2dB. This means that the bass is deep enough to produce thumps and rumbles, but it is slightly underemphasized. Additionally, mid-bass and high-bass are quite flat but overemphasized by about 5dB, which results in excess punch and boominess. Overall, their bass is deep and punchy, but boomy and overpowering. Also, their bass delivery varies significantly across users, and is sensitive to the quality of fit, seal, and whether you wear glasses. The response here represents the average bass response and your experience may vary. The mid-range of the Razer Kraken Pro V2 is above-average. The response is relatively even and flat, but it shows a 10dB tilt favoring the lower frequencies. This is actually the continuation of the high-bass bump, which is showing up in low-mid and mid-mid. The result will be a mix that sounds a little muddy and cluttered, and vocals/lead instruments that sound a bit thick. They will also lack some projection and intensity, relative to the bass and kick instruments. The treble is mediocre. Low-treble, and mid-treble, up to 7KHz, are flat but also underemphasized by about 5dB. This has a negative effect on the detail and presence of vocals and other lead instruments. The peak around 9KHz could makes S and T sounds (sibilances) sharp-sounding on overly bright tracks. Overall, the treble lacks brightness, especially considering the hyped bass of these headphones. The Razer Kraken Pro V2 show poor consistency performance. In the bass range, they have quite an inconsistent delivery from person to person, with a maximum variance of 18dB at 20Hz. 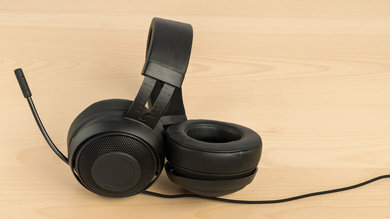 They also seem especially prone to a drop in bass if the user is wearing glasses that break the air-tight seal between the headphones and the ear. Their performance in the treble range is more consistent with the maximum deviation below 10KHz of about 12dB, but leaves some room for improvement. The imaging performance is good. Weighted group delay is 0.31, which is within good limits. The graph also shows that the group delay doesn't cross the audibility threshold except for a tiny bit in low-bass. This indicates a tight bass and transparent treble reproduction. In terms of driver matching, the L/R drivers of our test unit were decently matched in amplitude and frequency response. However, they show a significant mismatch in phase both in the bass range and high-treble. The will have a negative effect on the coherency of the stereo image, but shouldn't have a big negative effect on placement and localization of objects like voice and footsteps. The soundstage of the Razer Kraken Pro V2 is mediocre. The PRTF response doesn't quite follow our speaker's PRTF in terms of shape (Accuracy). This suggests that the soundstage won't sound neutral and speaker-like. 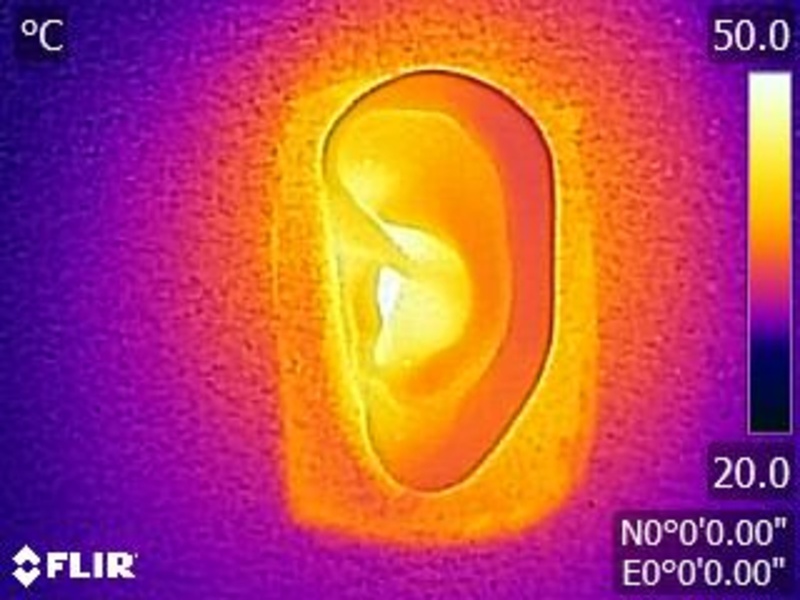 However, there a good amount of pinna activation (PRTF Size), which suggests a decent sized soundstage. Also, the PRTF Distance value is about average, indicating a soundstage that will be perceived to be located inside the listener's head, and opposed to in-front. The harmonic distortion performance is very good. The overall amount of harmonic distortion is low, which is good. It also seems that at 100dB SPL the THD performance is not significantly worse compared to 90dB SPL, which is a plus. The Razer Kraken Pro V2 are not the best headphones to use in loud environments. 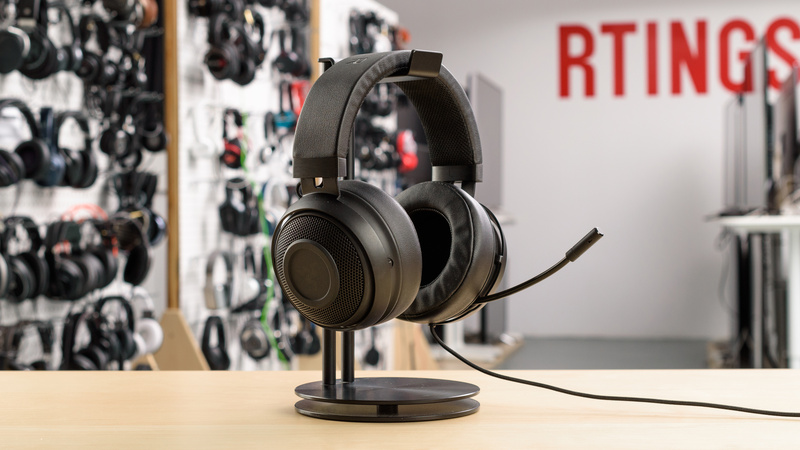 Like a lot of the gaming headsets we've tested so far, they only passively isolate against ambient noise, which should be fine in a relatively quiet setting. However, in a competition-like environment, you will easily be able to hear the chatter around you, which won't be ideal depending on your use case. They also leak quite a bit at high volumes so they may be a bit distracting if you're not gaming alone. The isolation of the Razer Kraken Pro V2 is sub-par. These headphones don't have active noise cancelling and do not isolate in the bass range range, where the thump and rumble of airplane and bus engines sit. In the mid-range, important for blocking out speech, they achieve about 7dB of isolation which is poor. In the treble range, which is occupied by by sharp S and T sounds, they are able to reduce ambient noise by about 32dB which is good. They have a sub-par leakage performance. The significant portion of leakage is spread from 300Hz to 10KHz, which is quite a broad range. However, the overall level of leakage is not very loud. This means that their leakage will sound fuller than that of in-ears and earbuds, but not as bright and loud as open-back headphones. Overall, their leakage will be audible to people around you at moderately to loud volumes. The Razer Kraken Pro V2's boom microphone has an impressive performance. In quiet environments, speech recorded with the mic will sound deep, full, and natural, but lacking slightly in brilliance and airiness. In noisy situations, the microphone is able to separate noise from speech to a great degree, making it ideal for very loud environments such as subway stations or loud gaming competitions. The microphone has an excellent recording quality. Low-frequency extension is at 90Hz, which is great, and the response is also flat up to 7KHz. However, the drop in frequency response above 7KHz will negatively affect the presence and airiness of recorded voice. Overall, speech recorded or transmitted with this mic will be full, natural, and easily understandable. The boom mic of the Razer Kraken Pro V2 has great noise handling. In our SpNR test, they achieved a speech-to-noise ratio of 33dB, meaning they should be able to separate speech from background noise even in very loud and noisy environments. The Razer Kraken Pro V2 are passive headphones with have no active features. The Razer Pro V2 do not support the Razer Synapse software. 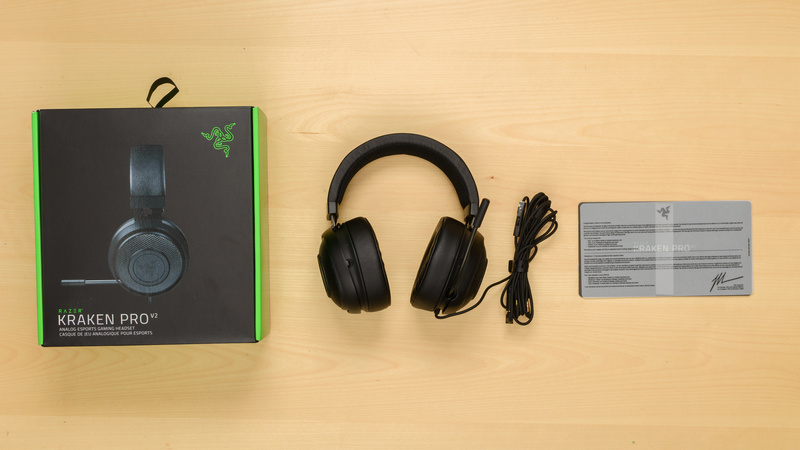 If you want a wired gaming headset with a good app, then consider the very similar Razer Kraken Tournament Edition or the Razer Kraken USB. The Razer Kraken Pro V2 are wired and passive. They only connect to other devices via their 1/8" TRRS audio cable but they also come with a headset adapter for PCs. The cable also has an in-line mic that is compatible with both PS4 and Xbox One when plugged into the controllers. These headphones are wired and do not have a Bluetooth connection. If you want a Bluetooth-capable gaming headset, check out the Turtle Beach Elite 800. 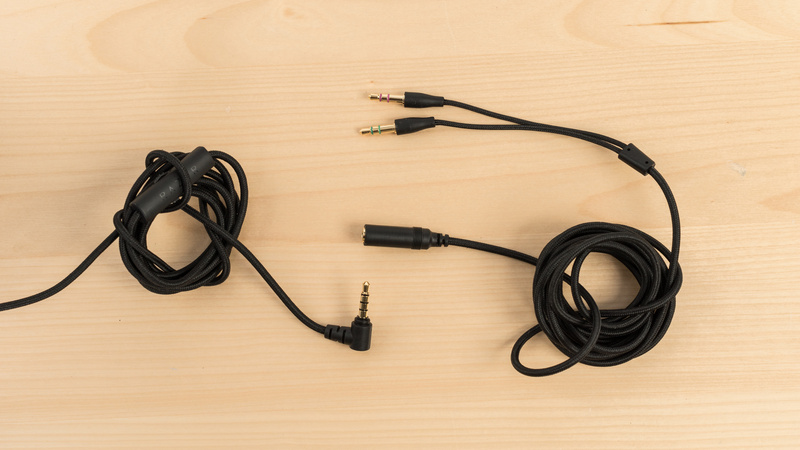 The Razer Kraken Pro 2 have a decent 1/8TRRS audio cable with an inline mic that's compatible with consoles. They also come with a Y splitter headset adapter for PCs. 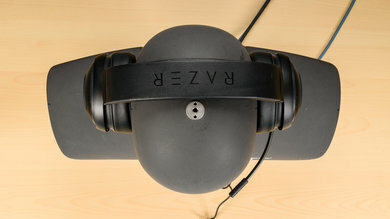 The Razer Kraken Pro 2 headphones do not have a dock. These headphones are wired and do not have a wireless range. If you want a similar design that's wireless, try the Razer Man O'War. These headphones have negligible latency because they have a wired connection. The Kraken Pro 2 is a sturdy and durable gaming headset. Their low latency wired connection and decent, bass-heavy sound make them suitable for gaming although they won't be as convenient as some of the other wireless gaming headset we've reviewed. Unfortunately, they also lack a few customization options since they do not support the Razer Synapse Software. 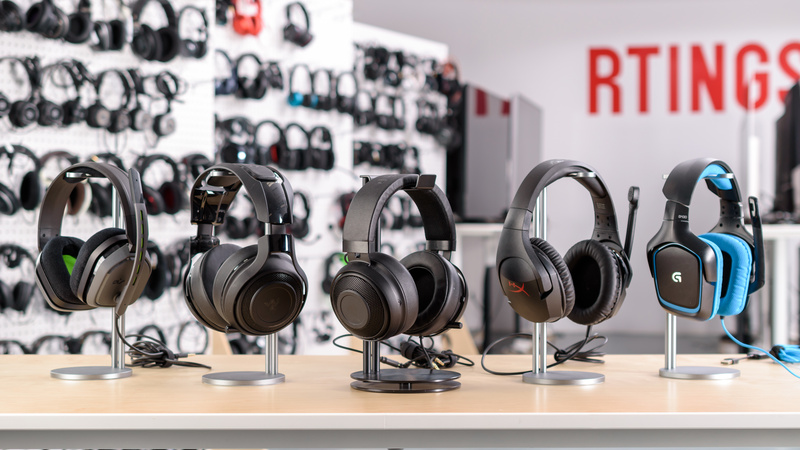 See our recommendations for the best gaming headsets, the best gaming headsets under $100 and the best Xbox One gaming headsets. The Razer Kraken Tournament Edition is a better gaming headset than the Razer Kraken Pro V2 thanks to its USB dongle, which offers multiple controls and access to the Razer Synapse app. They are practically built the same and sound the same way, but app support is definitely a major difference. With the Tournament Edition, you get an EQ, presets, calibrated surround sound, channel mixing, and many features to control volume and your microphone. The Razer Kraken Pro V2 are above-average gaming headphones but not versatile enough for more casual uses. They have a decently balanced sound that won't be ideal for critical listeners but should be good enough for most. 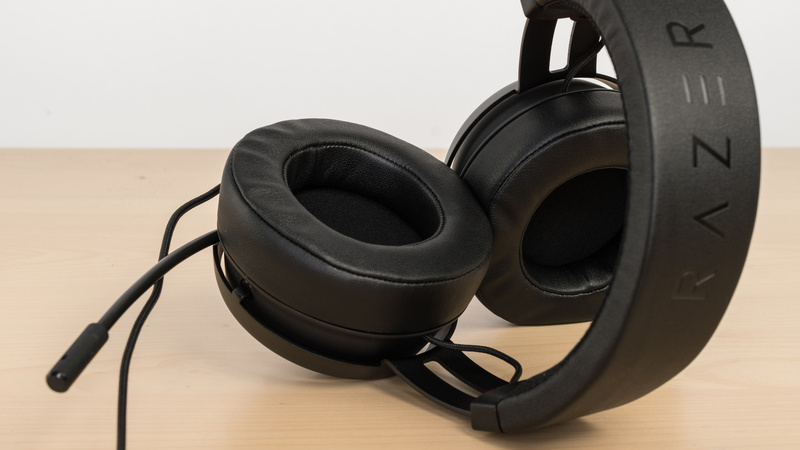 They also have a low latency, wired connection, and a good noise-filtering microphone, so they're better suited for gaming and watching videos than common Bluetooth headphones. However, they're too bulky for most outdoor activities and do not isolate enough for loud environments or commuting. Average for critical listening. They have a decent amount of bass that packs a punch but also makes them sound a little boomy and muddy. This is especially noticeable since there's a slight dip in the higher frequency ranges that cause lead instruments and vocals to sound a little distant and lack a bit of clarity. They also don't have the best soundstage due to their closed design, but they should be okay for casual listening for most users. Below-average for commuting. Although the Razer Kraken V2 have an AUX connection that works with mobile devices, they're a bit too bulky to carry around on your person without a bag, and they do not block enough noise to be suitable for the loud environments involved in commuting. Subpar for sports. They're big and bulky gaming headphones that aren't stable enough for sports. Below-average for office use. The Razer Pro V2 leak quite a bit at high volumes and let a lot of ambient chatter seep into your audio. They also tend to put a bit of pressure on the ears which might get a bit uncomfortable during long listening sessions at work. Below-average for home theater use. The Razer Kraken V2 have a wired designed with negligible latency and decently balanced sound that makes them good for watching movies especially if you're using a PC. They have a longer cable than most headphones even gaming headsets, but depending on your home theater set up they may not be ideal. Decent for gaming. The wired design means they won't have any latency when gaming. They also have a great mic that filters out a lot of background noise and accurately reproduces your voice. Unfortunately, they have an average and bass-heavy sound that won't be for everyone and don't benefit from the Razer Synapse app so you can't EQ their sound profile like the Kraken USB or Man O War. There is also no surround sound options since they're not compatible with the software, which is a little disappointing.